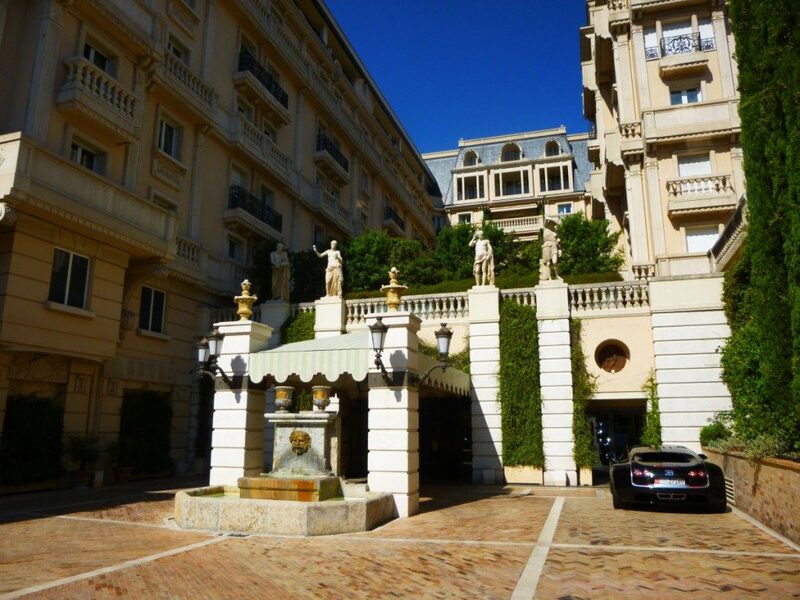 Located in the Carre d’Or of the Principality, the property is just steps away from the luxury boutiques and the casino square. Built in 1886 and originally opened on land belonging to Pope Leon XIII, the building was soon in demand by international clientele who were seduced by the Belle Epoque style. 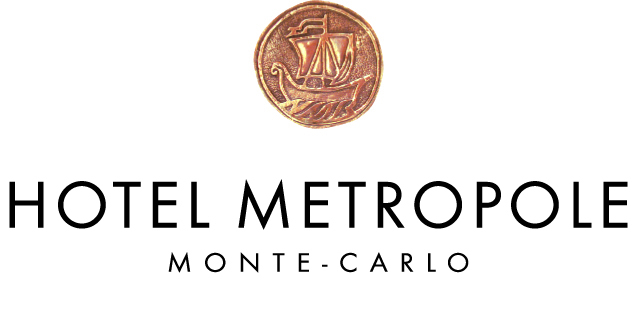 In 2004, the Hotel Metropole became distinguished and contemporary, keeping the emotional character it was known for whilst offering a luxurious and modern atmosphere in its new identity. Combining the rich heritage with Mediterranean vibes, this remarkable building’s decor emphasises the level of service proposed. The concept of the hotel is to really focus on the human senses, our emotions and our dreams. The decor and architecture is a mixture of classical and timeless with a touch of modernism to really progress the property’s fashionable and elegance. Offering complete luxury, relaxation and intimacy, the hotel is closer to an independent house and due to it’s dynamic and creative character. It’s recognised as a reference point among international luxury hotels, further emphasised by the hotel’s win of the coveted award of ‘Best Hotel in the World 2010’. 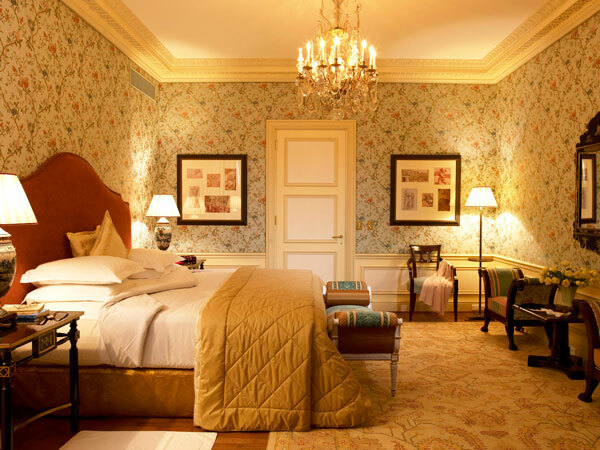 Every season, this glamourous hotel changes the decor and interiors. Each theme is tuned to play on your senses, not just your sight. Guests will enjoy a different and original ambience with every stay and this contributes to the hotel’s unmistakable character. 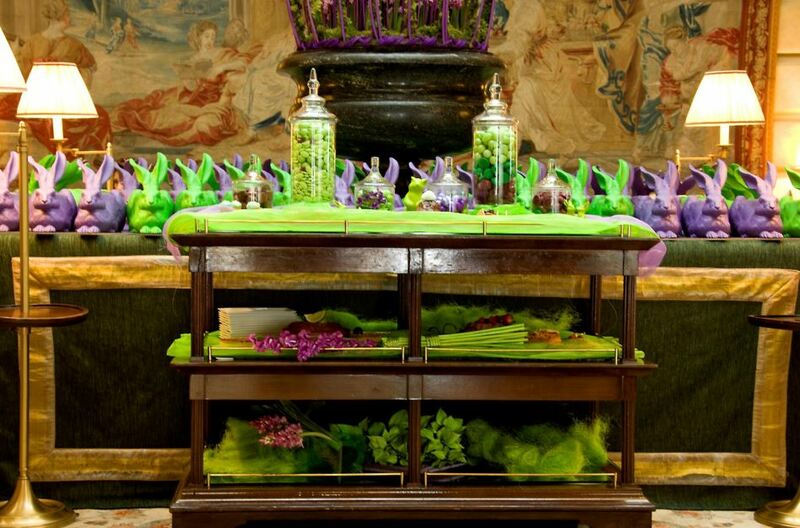 An arty spring theme with gorgeous purple and green bunnies! This theme, aptly titled ‘Love Is In The Air’, transformed the decor to prepare for Prince Albert’s wedding and showcased one of the most established French couture brands: Lanvin. 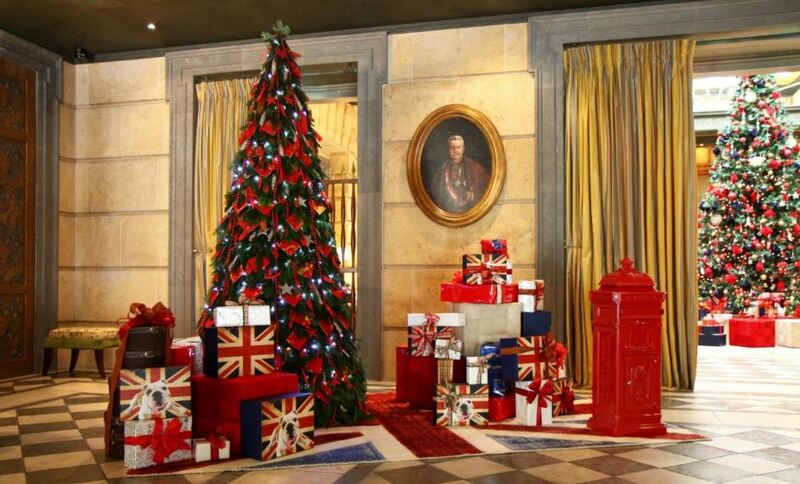 Christmas at the Metropole Monte-Carlo make a big celebration of Christmas and this particular theme brought in a red, white and blue British theme after an exciting year. What are the hotel’s suites and rooms like? In keeping with the rest of the building’s luxurious interiors, the Metropole’s rooms and suites are equally as beautiful. All feature some of the most stunning views of the surroundings whilst keeping the privacy and intimacy needed for an utterly relaxing retreat. The Prestige Suites; located on the top floor of the hotel and provide spacious and comfortable living space. Beautifully decorated en-suite bedrooms also include walk-in wardrobes as well as a large terrace with private sun loungers. The Azur Suite; With large bay windows and amazing views of the casino gardens and the Monaco Grand Prix circuit, this suite is the primary choice for all Grand Prix fans. 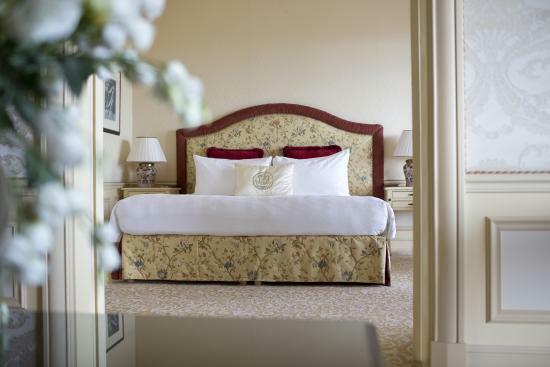 The Carre d’Or Suite; The 150 square metre apartment is as spacious as it is glamourous. Containing a large bedroom, walk in wardrobe and magnificent marble and gold bathroom, the suite can’t be described as anything but sophisticated chic. The 110 square metre terrace features unrivalled views of Casino de Monte-Carlo, the sea and the gardens. Will I be able to find fine cuisine at the Hotel Metropole? 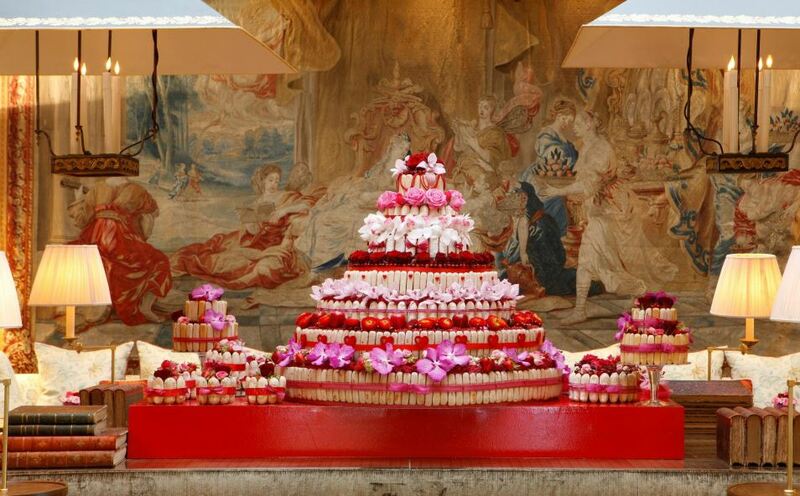 Incredible gastronomy is a massive part of what the Hotel Metropole has to offer. 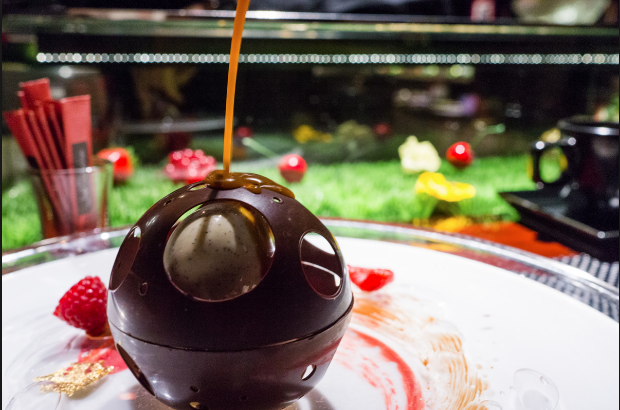 The world’s most Michelin-starred chef, Joel Robuchon, has an integral influence in the building and in partnership with head chef, Christophe Cussac, has created some magical menus to indulge in. 2 Michelin-star, Joel Robuchon Monte-Carlo, is the main restaurant of the hotel and features fine, sophisticated cuisine that focuses on the produce. Yoshi, a 1 star Japanese restaurant, provides incredible healthy and modern food. 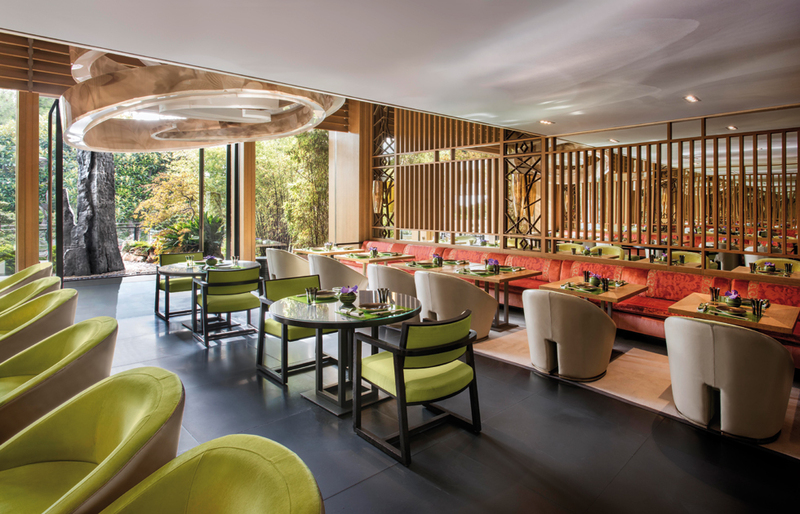 The restaurant room includes a stunning sushi bar and opens onto a Japanese inspired garden, created by landscape artist Jacques Messin. 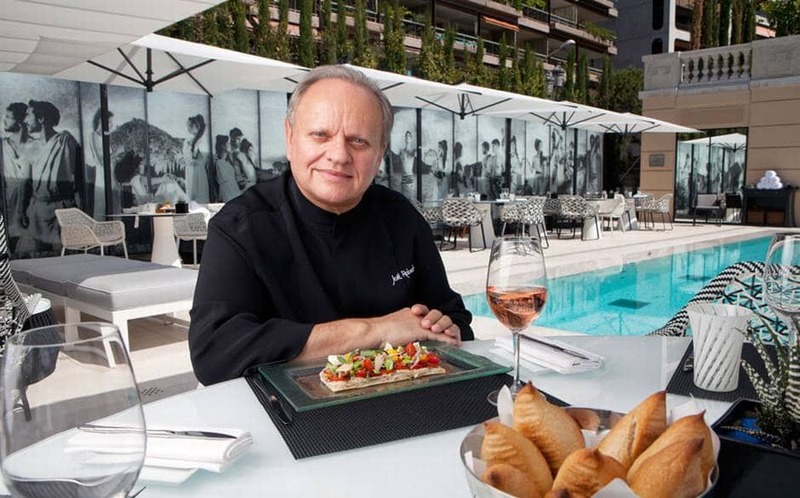 Joel Robuchon: the world’s most Michelin-starred chef, ‘Cook of the Century’ and winner of ‘Best Restaurant in the World’. The bar and lobby also features a warm and lively space to sit, eat, drink, read and meet with friends. The musical ambience is created by sound designer, Beatrice Ardisson and is inspired by the mix of 1950’s music with contemporary styles. The lobby also features the only chocolate bar on the Cote d’Azur and is treated with as much respect as fine wines. And finally, the enticing Odyssey created by King of Fashion, Karl Lagerfeld. Featuring an idyllic heated seawater swimming pool and beach area with sun loungers, luscious gardens and a sun deck. This incredible space also includes Joel Robuchon’s third restaurant in the hotel which along with the al fresco dining offers seasonal dishes to tingle your taste buds. This little haven of peace is exclusive to the hotel guests and ‘Odyssey’ members of the Metropole espa. Can I find a spa or any well-being facilities at the Hotel Metropole Monte-Carlo? 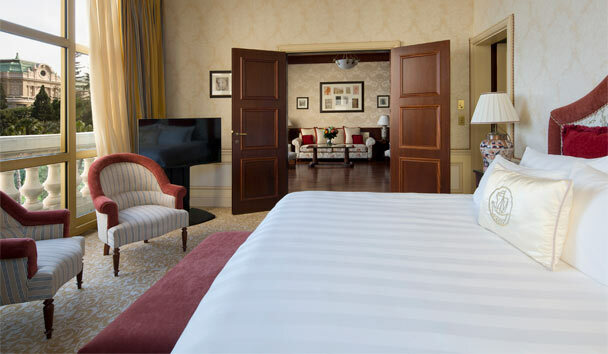 Hotel Metropole features some sublime well-being treatments and facilities on its grounds. 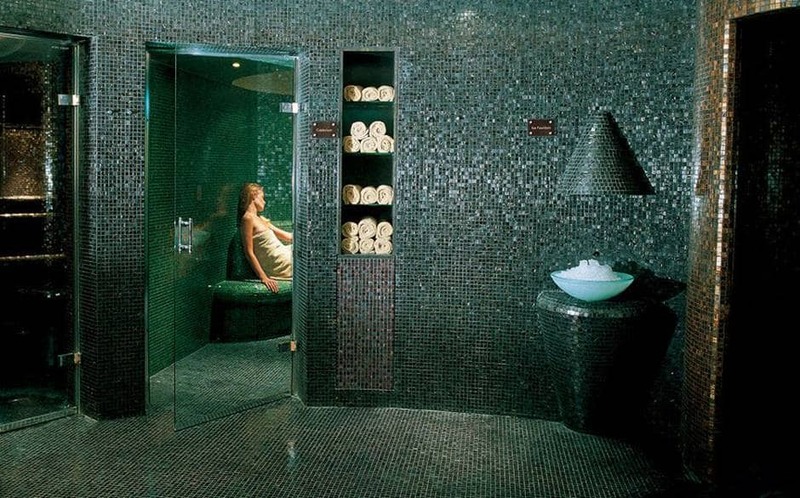 Along with the aforementioned Odyssey, the Metropole Espa offers total relaxation, peace and tranquility. Combining modern techniques with ancestral therapies in the world, the spa brings a fully personalised experience as well as using the finest of natural skin care products. 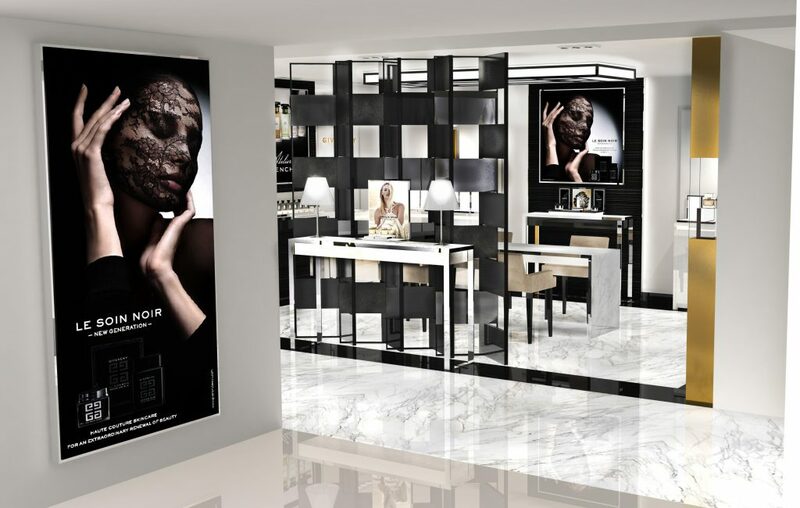 A new and exciting feature to the well-being facilities provided at the Hotel Metropole is their recent collaboration with renowned designer, Givenchy. A truly lavish array of treatments and products to try, you will be guaranteed to be looking and feeling gorgeous! Can I hold events at the Hotel Metropole? The Hotel Metropole features some beautiful, spacious rooms perfect for any event, banquet or convention. The Meditteranean Room is elegant and large, boasting sea and garden views whilst Les Salons Homere, Penelope et Ulysee combine light, technology and comfort and can be used separately or together. The Theatre and Foyer is located in the centre of the hotel can be customised for any event needed. At 126 square metres and sound proof, the room is spacious enough for large meetings without feeling cramped and stuffy. It also has the added bonus of opening onto a foyer, ideal for smaller groups. What’s near the Hotel Metropole Monte-Carlo? 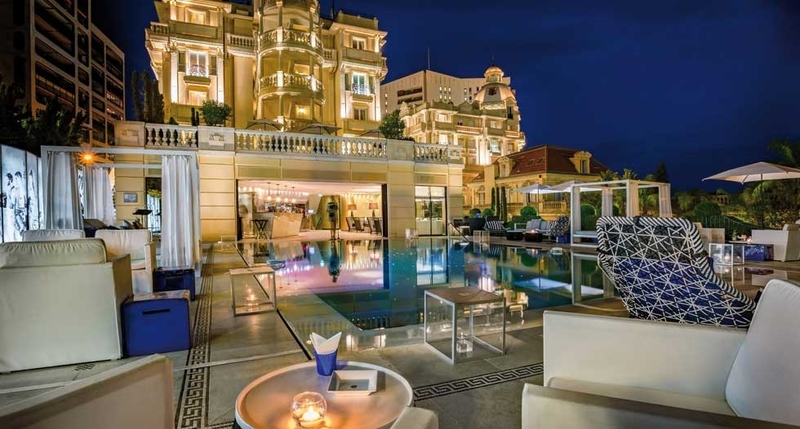 Firstly, the nightlife of Monaco is just as spectacular, buzzing and animated as the city is during the day. With an amazing selection of international shows, bars, restaurants and casinos, Monaco will not disappoint or bore you! 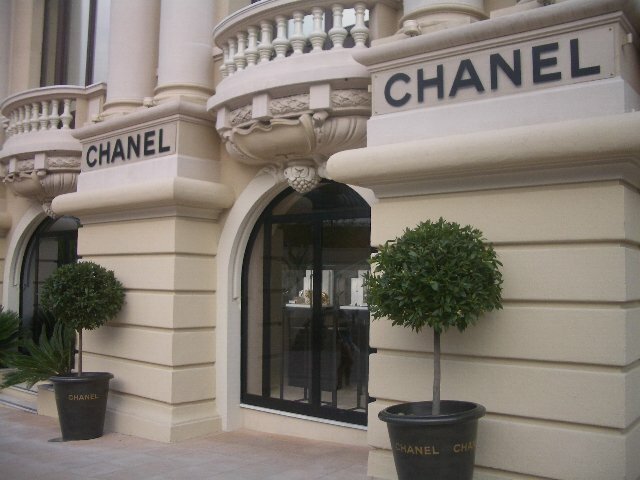 Shopping is also a massive part of Monaco’s allure with it being one of the main international capitals of luxury retail. 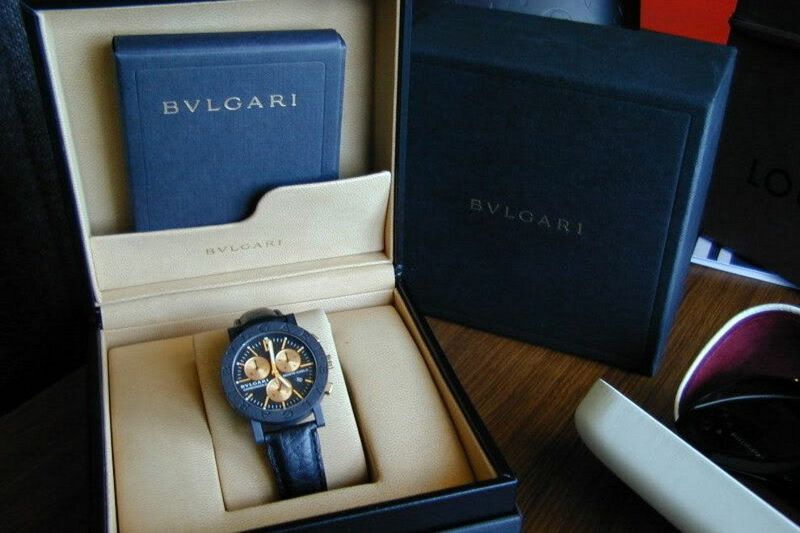 Jewellery stores line the streets and include names such as Cartier, Bvlgari and Chopard. If you’re more into art, there are many antique dealers and interior designers who’s work will astound you. The Monte Carlo Pavilions is a large shopping promenade bringing forty plus stores and is located between the avenue de la Costa and the Place du Casino. The Metropole Shopping Centre has a further eighty stores and is located in the commercial gallery of the hotel. What is the culture like in Monaco? When you need a break from the retail therapy, the culture of the city exceeds expectations. 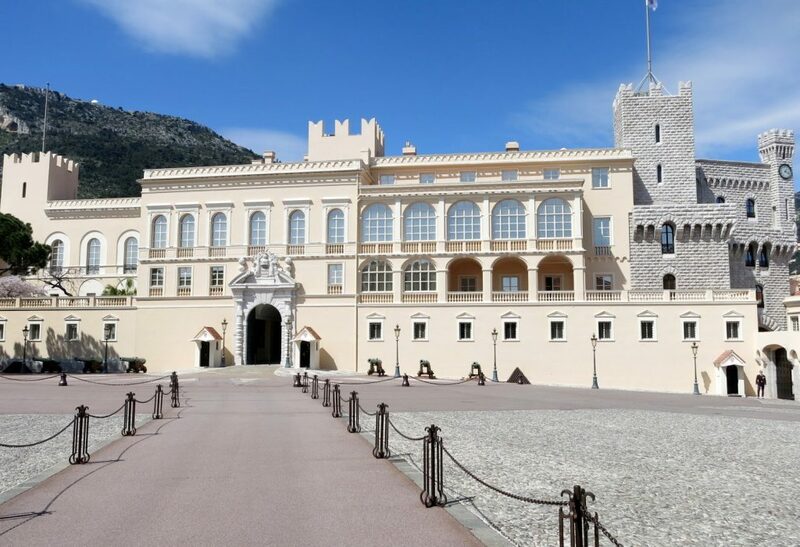 Countless famous monuments and museums of the Principality; the Palace, the Cathedral, the National Museum and the Oceanographic Museum of Monaco are all highlights and need to be seen to be believed. The Monte-Carlo Opera offers virtuoso art with productions featuring choirs of 120 singers, dancers and extras. The Ballet is also a wonderful slice of Monaco’s culture spanning a century of history within dance. Director and choreographer, Jean-Christophe Maillot, creates dramatic and unforgettable productions with some truly talented and mesmerizing dancers. 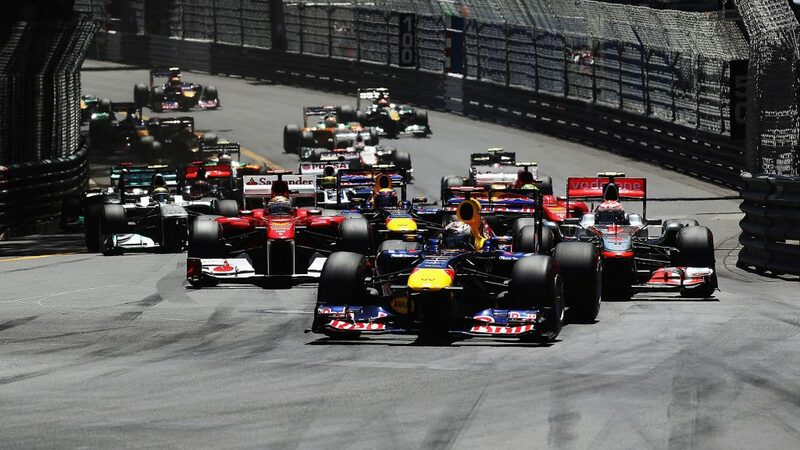 Monaco is host to some of the world’s biggest annual sporting events including the Monaco Yacht Show, the Monte Carlo Rolex Tennis Masters and, of course, the Formula 1 Grand Prix in May. 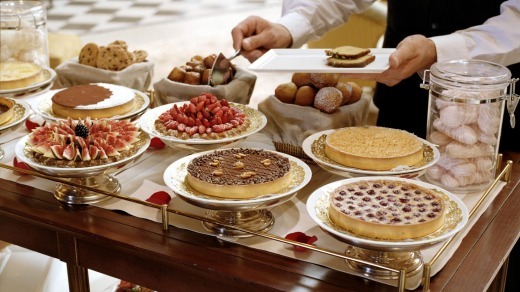 The Hotel Metropole Monte-Carlo has created a selection of unforgettable and unique experiences for you to try with family and friends. These bespoke and exclusive leisure activities are unrivaled in terms of their creativity and you won’t find anything close. For foodies and potential wine connoisseurs, ‘A Chateau in Provence’ gives you the chance to visit the domain of Le Close des Roses and taste a variety of fine wines. ‘Pick Up Your Stick’ sees you indulge in a selection of the finest Meditteranean fish and exceptional wines and champagne as well as an exclusive class with the chef, Takeo Yamakazi himself. ‘Little Chefs’ gives the kids a chance at cooking with head pastry chef, Patrick Mesiano, opening the doors to 6-10 year olds for a day of cupcake making and decorating their own chocolate eggs. At the end of that, they also get their own aprons and can take their culinary creations with them. 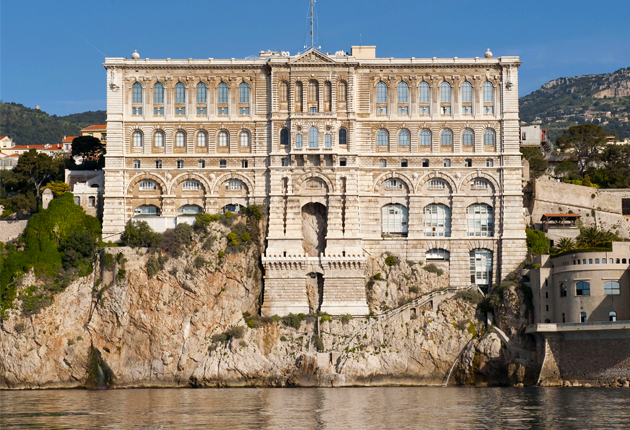 If you’re itching to look into the more cultural side of Monaco, ‘Following the Footsteps of Grace Kelly’ is sure to satisfy. Retrace the steps of Princess Grace, following an itinerary of iconic locations such as Monaco Cathedral and la Roseraie. ‘Discovering the Principality’ gives you an authentic immersion of the lifestyle and culture of Monaco. A professional local guide will take you on a walking tour of the Principality as well as lunch at Les Perles de Monte-Carlo. A behind the scenes, exclusive tour of the Ballets de Monte-Carlo where you can sit in on a class, see the costume department and have a peek at the backstage areas of the famous dance group. If you wish to see the sights from a different perspective then you can ‘Fly Over the Mont-Blanc’. This experience will take you over the highest summit in Western Europe, ending up on the roof of Mont-Blanc in a two hour bespoke helicopter flight! You can also see ‘Earth From Above’, again an absolutely mind-blowing chance at seeing the mountainous panorama that this part of the world offers all the way up in a hot air balloon. A more down to earth experience is provided with ‘The Sleigh Ride Adventure’; a spectacular 11 dog sleigh on the protected side of the Mercantour National Park which makes the ideal excursion for any nature or animal lover. The Hotel Metropole offers yet more exciting and wild ideas for memorable experiences on your Monaco break. Being famous for the annual Monaco Grand Prix, ‘Get Dizzy with Speed’ gives you the opportunity to be a real racing driver for the day. You can experience the buzzing emotions of the Formula 1 champions on the circuit of Luc in Provence. The ‘Goldeneye Experience’ provides you with a private visit to the Monte-Carlo Casino and a ride in a helicopter before stopping at Yoshi for lunch. 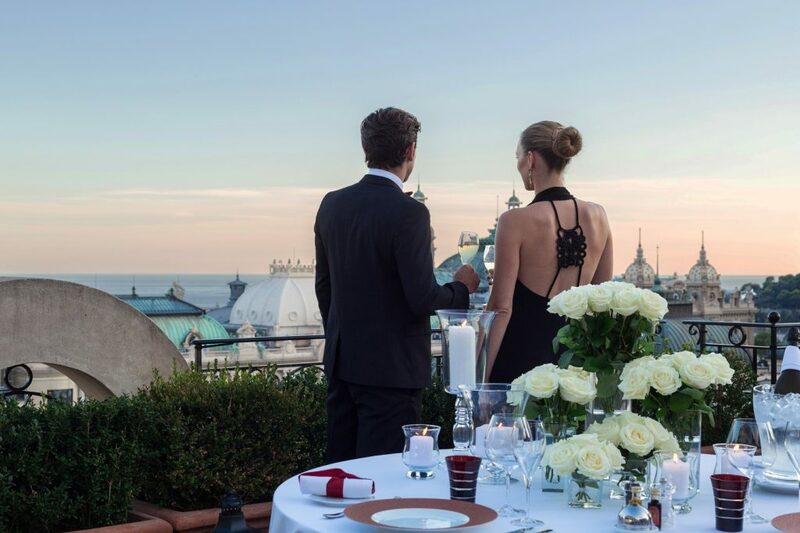 Then discover the beauty of the French Riviera in a top of the range Aston Martin before enjoying an evening of couples’ massages and a candlelit dinner. Not to forget your very own James Bond Martini to sample! 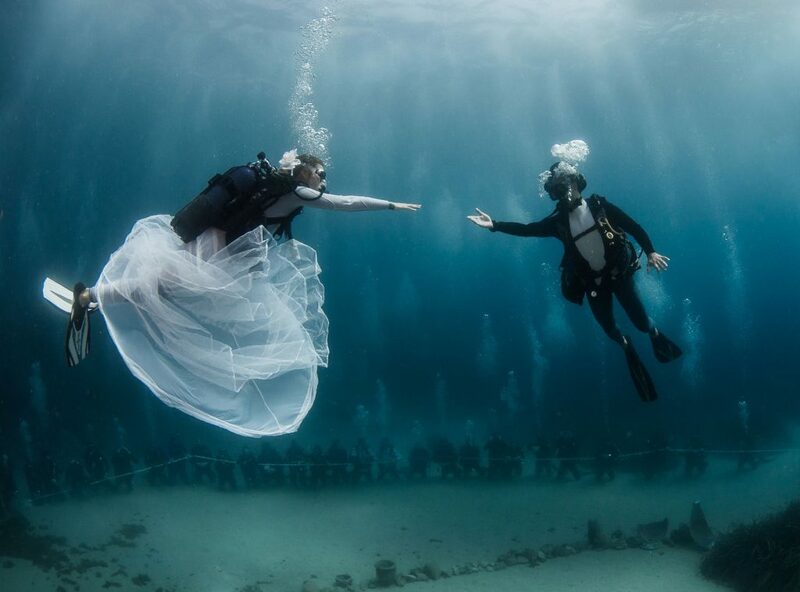 To top that off, if you’ve ever thought about a truly unique, once in a lifetime experience, you can get married…underwater! Quadruple free-diving winner, Pierre Frolla invites you to the famous Larvotto Beach where each individual detail is handled to make your big day extra memorable. The ceremony takes place under the water, including the altar and continues back on shore with cocktails and lunch with everything filmed and returned to you to watch whenever you feel. 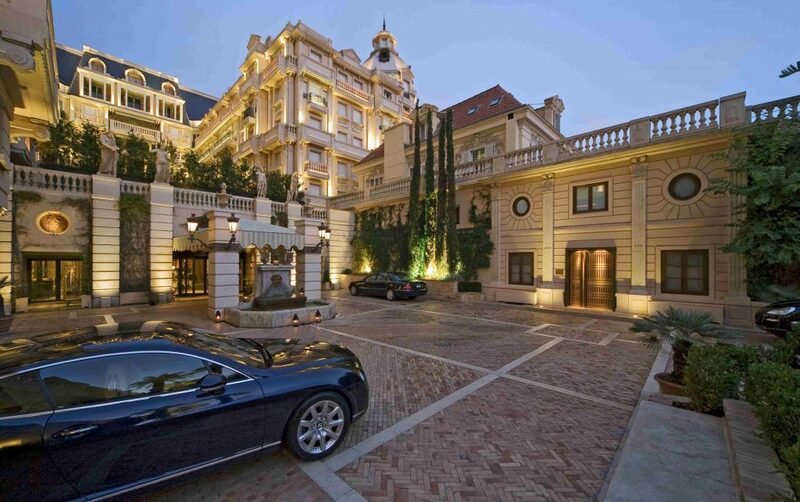 The spectacular and individual Hotel Metropole Monte-Carlo really does have to be seen to be believed!